Renee fractured her ankle during a soccer game in early January. At first she was in a plaster cast and on crutches. She found this pretty hazardous outside on all our snow and ice, so they changed her to a walking cast, which she was in for several weeks. She also had to start physiotherapy! She was pretty heartbroken about having to give up dance and soccer, but she went through it all with a smile on her face and was a real trooper! Her ankle is getting much better and we're hoping that in awhile she'll be back to all her activities! I did this one for a challenge at Let's Get Sketchy, where they had a pretty awesome sketch and also for a challenge at Scrap With V. The challenge there was a photo inspiration where I loved the wood grain and had just gotten some great My Minds Eye papers which had woodgrains! Another beautiful page Charlotte, so sorry to hear about your daughter hurting herself, I know that had to be painful for her in more ways than one. thanks again for playing with us at LGS! That shade of blue is great with the orange.. Love the pic.. Great lo! Wow - great layout Charlotte! Love the bright colour combo and your layering & details are perfect!! Thanks for joining us at Let's Get Sketchy this week! Wow! What a beautiful LO! Love everything on your page! 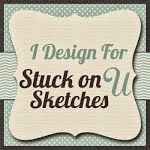 Thanks for joining the 3rd Official Sketch Challenge at Let’s Get Sketchy! Love it - great job Char! Just got this paper. Thanks for the inspiration! 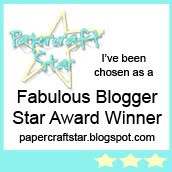 Love the paper collection, love the flowers,and I think you rocked the sketch! Thanks again for playing along with us at LGS sis! And..Renee was a real trooper through this whole thing, and she will be dancing in no time! Like the perspective in the picture where you can see that genuine smile. Cute colors! It is also very cute flowers, and beautiful are made very carefully! thanks again for playing with us at LGS! such a beautiful take on the sketch, love that MME collection too! thanks for playing along with us at LGS (again)! such a beautiful layout! i love that collection! thanks for playing along with us at LGS (again)! Love Love LOVE that paper!!! 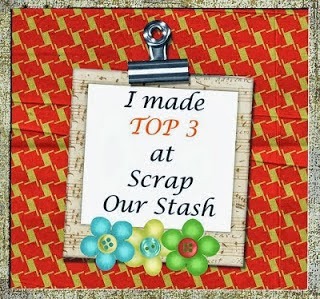 Love all the embellishments you have used, Gorgeous layout!!! Hope you daughter is better soon. Thanks for joining us at LGS! I absolutely love the background paper and how you used blue and orange. Great layout - I love it all. Beautiful lo, really love those ccolors! 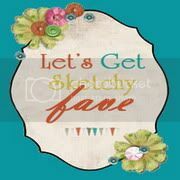 Thanks for playing along with Let's Get Sketchy! Charlotte, this is beautiful!!! Love the colors and design!!! I'm so glad to here she's on the mend and hopefully will be able to get back to normal real soon!!! What a bummer that must have been!! Have a wonderful day!! Hugs!!! Love this!!! Thanks for playing at LGS! So pretty! Love the colors and patterns! AWESOME!!! Awwww...Poor Renee! I'm sure this layout will brighten her day...it sure brightened mine! Very pretty page, Char! This is so gorgeous! Love everything in that page!